Located 62 miles south of Barcelona, Cambrils is ticking a lot of boxes for a lot of different people. The key draws remain its near constant sunshine, endless beaches and gastronomic delights, with seafood being at the top of the menu. Equally important is its central location as it is bang in the middle of the Costa Dorada close to the PortAventura theme park and the nightlife of Salou. Other attractions include the nearby vineyards, golf courses and water parks. Alternatively you could stay in Cambril and get lost in the beauty of its old town and its many excellent restaurants. Cambrils is a quiet, fishing village with lovely shops. Salou is the opposite, good to go to if you feel like a livelier evening. A nice town with fountains and lovely trees but heaving with people. Tarragona is a must to visit. Lovely old town with a lot of history. Lots of interesting museums, lovely cathedral with wonderful treasures and Roman amphitheatre on the beach. We all really enjoyed both Cambrils and Salou which at this time of year, were not crowded, but still good weather. Exellent local transport, reasonable cycle hire, pleasant and varied bars, lots of places to visit by local bus,lots of walking, magic fountains, Port Aventura and above all, beautiful beaches. Something for everyone, without being too rowdy. This resort is mainly for the Spanish but do not let this put you off beautifil restaurants on harbour front most people speak English very helpful lovely harbour area all very level ideal for walking alovely 3.5 kilo wak in the opposite direction to SalouThe buses run every half hour to salou reus and taragona also you can catch a bus to barcelona they offer various package eg nou camp stadium 3 hours free in town for 25 euros. The resort of Cambrils is more upmarket than Salou,quieter but with nice little shops and lovely restaurants.The beach is lovely,it stretches for miles,and the sand is nice and clean. The resort is well kept,except for the dog dirt,which is everywhere.We didn't go out in the evening so don't know about entertainment in the resort,I think if you wanted entertainment you would have to go to Salou,Which is a 20minute bus ride away. The buses are regular and cheap.I would visit this resort again. In between Salou and Cambrils,so not very busy. There is a good bar a few minutes from the hotel, that have music acts on ie Buddy Holly, Elvis and a sixties night, this seemed very popular. Beach looked clean and not busy. Used the bus into Salou and Cambrils. Salou is lovely on the front nice and clean but the main hotel area loked a bit like concrete jungle i.m.o. Cambrils very Spanish a bit like Old Benidorm but better i.m.o. Not sure if I would go again, maybe stay more central if I did. Overall a good week. 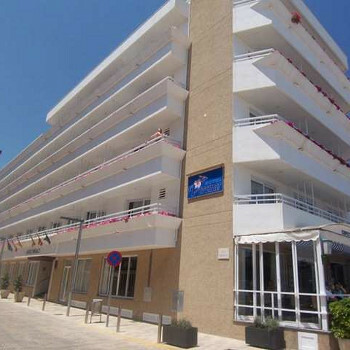 We were situated between Salou & Cambrills the area was clean with bars and restaurants close by and the busier resorts only a short walk or bus ride away. The beach areas in both Salou & Cambrills was clean and well kept at all times. I would return to this area again but maybe not in the school holidays! Cambrils is a working fishing town and it was good to walk around the harbour when the catch was in. The old town is very picturesque with plenty of amenities. The beach is very long and clean with good shower facilities. There are street entertainers and artists out every night and the whole place is a great place to chill. If it's noise, English pubs and excitement you're after then Salou is a short bus ride away. Needless to say we didn't bother! All in all, well worth visiting. The resort is good. You are closed to the beach (100m) across the road. There are good public transport links to Barcelona, La Pineada, Tarragona, Reus and Port Aventura to name but a few. They are frequent, cheap and safe. You cant ask for more. There are lots of eating places roundabout as well and pubs, although you are not bothered with rowdy drunks, as the publics roundabout are all family orientated. The only thing I would say is that they need to clean the bins that place out on the main streets and some of the pavements could do with being replaced. Both Salou and Cambrills are great, the beaches are some of the best I have ever been on in europe, soft golden sands and clear blue sea. Cambrills is very spanish and old world, while Salou is ery lively with loads of British pubs bars and discos. The Port Adventura theme park is fantastic - top tip! Buy your ticket before you go - you get a much better deal! we got 5 days entrance for the price of one on line before we went, when we got there it was buy one day, get one free!